As the season of gift buying looms ahead, the “buyer beware” wisdom needs to be in flashing lights in all of our lives. The world of the cowboy is no exception to the deception of the seller banking on the gullibility of the buyer. Truth in advertising is a myth. Go with that and you will more likely be taken for less of your hard earned money. Here are a few myth busters. Roping equipment ads: “Practice like the pros do—make that trip to the winners’ circle.” The ads for mechanical roping practice machines all promise magical improvement without telling you that really key to better roping is hours and hours of practice. Along those lines, the hundreds of different kinds of ropes endorsed by some pro who has his picture taken using one and unequivocally attributes his success to that rope, also forgets to mention that same “key” to success. Spoiler alert: Owning a mechanical machine and a hot-selling new rope will not guarantee you anything except a thinner wallet. 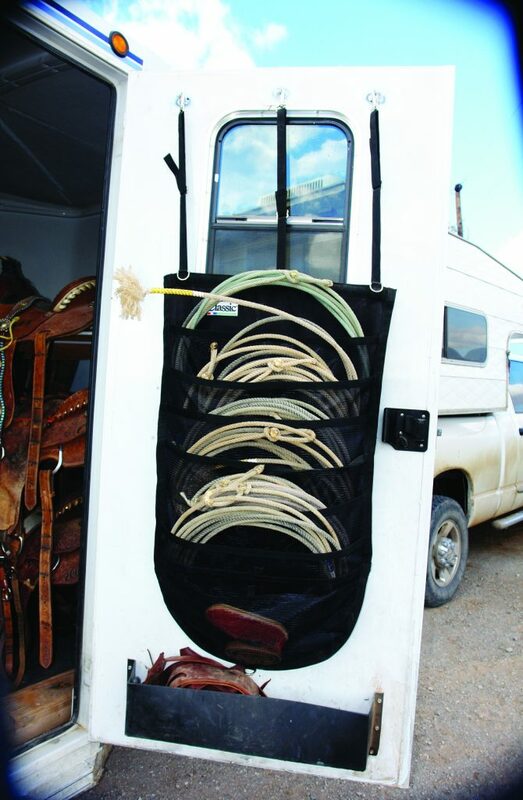 Another mythical machine is being marketed as a roping chute that requires no chute help to keep it loaded. The video declares “steers will just naturally step into the chute by themselves when the back gate opens.” There is a legion of folks out there that have worn out a box car of hot shot batteries loading cattle into any chute that are now rolling on the floor laughing over that one. Sale barn specialty: “Just take them home and turn them out.” Anyone that knows anything knows buying fresh cattle means taking them home and doctoring ASAP, praying over them and keeping at least $50 each worth of shots handy and ready for use. “Those little black heifers will just lie down and squirt those calves out all by themselves.” That statement becomes a cold memory when you are lying in the snow with your arm stuck up the nether regions trying to get a set of OB chains on a leg of an unborn calf. “These here heifers will begin calving at just the right time—early enough to catch the good markets and right after the weather gets warm.” Every heifer in the world will concentrate on keeping her cervix glued shut until a snowy blizzard dark night. It’s just how it works. “That’s a low birth weight bull right here, but his calves will gain weight and muscle rapidly to sale weight in nothing flat.” What happens in reality is a newborn calf the size of an icebox that finds himself motherless after the birthing experience and requires bottle feeding. This goes along with the painful truth that he looks just little bit like he’s part Holstein. “That two year old colt ain’t going to buck. His mama never bucked a day in her life.” There is now a “Go Fund Me” page set up for the doctor bills and a cast-signing party planned. “This horse just got his feet trimmed—just ignore that little bob to his head. He’ll be sound in a day or so.” The truth is, when the bute (painkiller) wears off, you’ll see a bit more of an exaggeration in bob of that head, like when he sticks it down between his front legs and his hind legs reach for the sky. And probably the most dangerous of all: “I’m going to bring my cousin along when I come help you gather tomorrow. You’ll like him and he will be lots of help.” After everybody spends an hour or so finding this lost guy when he doesn’t make it back to the pens, you will be able to find him any time you look up standing in the way, usually right in the gate. Julie can be reached for other “beware of” wisdoms at jcarternm@gmail.com.